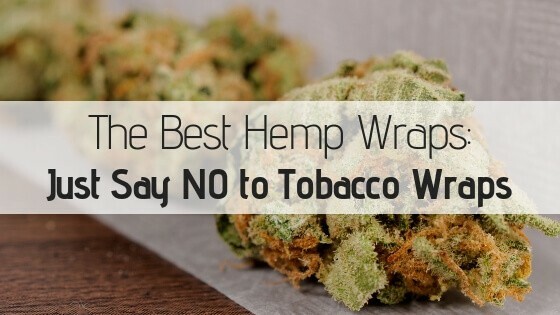 The Best Hemp Wraps: Are They a Healthy Alternative? There are many ways to roll up your weed, but one of the best options if using hemp wraps. Wapping cannabis up in hemp might seem like a weed-on-weed crime. However, it’s one of the healthiest ways to consume cannabis. Not to mention hemp contains beneficial cannabinoids as well. With the marijuana industry growing by leaps and bounds, consequently, the hemp wrap niche has blown up as well. I’ll help you weed through some of the best hemp wraps. A hemp wrap works like any other joint paper or blunt wrap. The difference is they are made out of hemp. Hemp is a very sustainable option for everything from smoking paraphernalia to clothing to nutrition. This tough plant can grow in many conditions and within tight areas. It takes up less land to cultivate. What makes hemp so good for smoking is that it’s so durable. You don’t have to worry about the best hemp wraps falling apart as you lick and roll. Why Not Just Get a Blunt Wrap? Blunt wraps have been around forever and seem to be doing the trick just fine, so why not stick with them? For one, blunt wraps contain nicotine. So, if you aren’t a cigarette smoker, you might not want this highly addictive substance mixed in with your medicinal plant. Plus, many blunt wraps use artificial flavorings and synthetic ingredients to add different scents to their blunt wraps. These foreign chemicals can alter and even negate the medicinal compounds in your bud. When you smoke with organic hemp wraps, you don’t run the risk of any contaminants entering your system. Do Hemp Wraps Get You Higher? Technically, the best hemp wraps in the world can’t get you higher. However, it’s not CBD that gets you high. Whenever a product is classified as CBD, that means it contains less than 0.03% of THC. Therefore, even if your hemp wrap has been infused with CBD, the CBD itself will not get you high. While CBD doesn’t get you high, it is still a cannabinoid and therefore will have an interaction with your endocannabinoid system. So, if you are getting a hemp wrap, you are automatically upping your CBD intake. This heightened CBD uptake only increases if you get a hemp wrap that’s been infused with CBD. While the levels of CBD in a hemp wrap are not as potent as using CBD oil and consuming a CBD tincture, it still introduces therapeutic compounds into your system. In addition to adding more cannabinoids into your smoke session, CBD also compliments the effects of THC. The two cannabinoids have an entourage effect out on the other, amplifying their positive side effects on the body. Therefore, CBD in hemp wraps doesn’t GET you high, but it may HELP your high. Now, let’s review some of the best hemp wraps. If you’re looking for a little flavor in your hemp wrap without all the artificial stuff, then this 25 Count Variety Pack of Organic Wraps is for you. These are high hemp wraps, which means they have been infused with an extra dose of CBD. This variety pack comes with five packs of five wraps that contain five unique varieties...I know, phew. These hemp wraps come with a wood filter that not only makes for smoother pulls but also keeps herb from falling out the back (or landing in your mouth). The biggest complaint is that the hemp wraps are a bit dry. While they won’t break as you roll, it does make them a bit hard to manipulate. So, be prepared to put your tongue to good use with these! 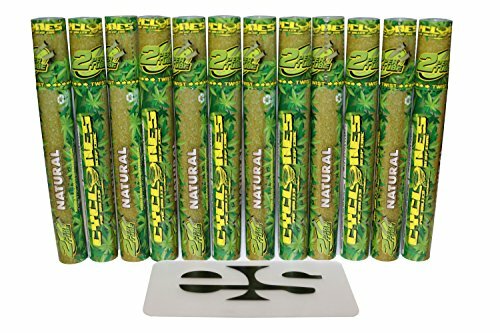 The Cyclones Natural Hemp Wraps are pre-rolled cones that hold a nice chunk of bud. Seeing this fact as a good thing and not a bad one, the folks at Cyclones even provide you with a filling/packing stick to shove all the goodies up in there. If you pack your cone tight enough, you could probably get around 1.5 grams inside these pre-rolls. What’s nice about these 12 two-packs is that they come with resealable tubes. These tubes are clutch because they allow you to maintain the flavor of your other pre-rolled cone....or whatever you don’t finish from your smoke sesh. Not only do they lock the flavor in, but they also do a pretty decent job of keeping the odors out. The one downfall of being packed together in these two packs is sometimes they stick together. Also, these hemp wraps are a lot more prone to cracking than the 25 Count Variety Pack. Now is your chance with the Juicy Jay Hemp Wraps. Juicy Jay Strawberry wraps is like biting into a Starburst candy, except you are smoking the pink chewable instead of chewing. 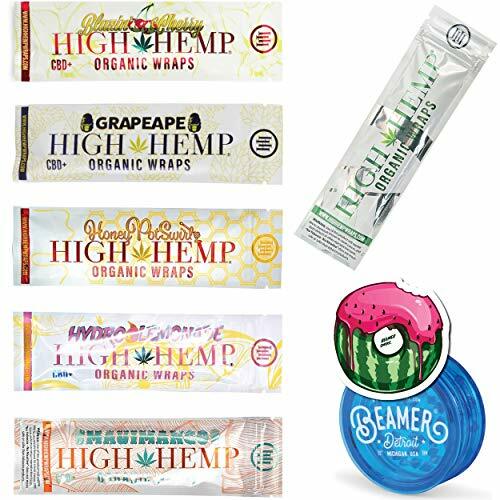 These hemp wraps burn smooth and evenly, distributing fruity flavor with each pull. The biggest drawback of these hemp wraps is that the adhesive is not the strongest. So, use a lot of spit when you roll and beware of unraveling as you pass. What makes the Cyclones XTRASLOW Pe-Rolled Flavored Hemp Wraps such a great smoking experience are the Dank 7 tips. These tips are made out of bamboo. 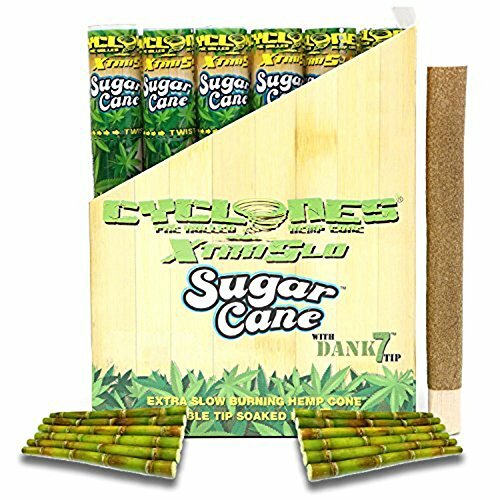 The sustainably-sourced filter tips are then submerged in sugarcane flavoring for seven days. This creates a sweet flavor that goes great with pineapple express and strawberry cough. Just make sure you have a lot of bud because these cone-shaped pre-rolls can handle a lot of cannabis. While the flavor and size of these wraps are top-notch, the overall quality of the wraps isn’t the best. For one, they can be a bit harsh on the inhale. Also, these hemp wraps tend to burn out the minute you stop smoking, so be sure to have that lighter on redial. Want a lot of hemp wraps for the best value? Then Skunk Brand Hemp Wraps is a great answer. These are run-of-the-mill hemp wraps. They have a smooth flavor, but nothing fancy or fruity. These wraps are made completely of organic hemp and have no tobacco or additives. 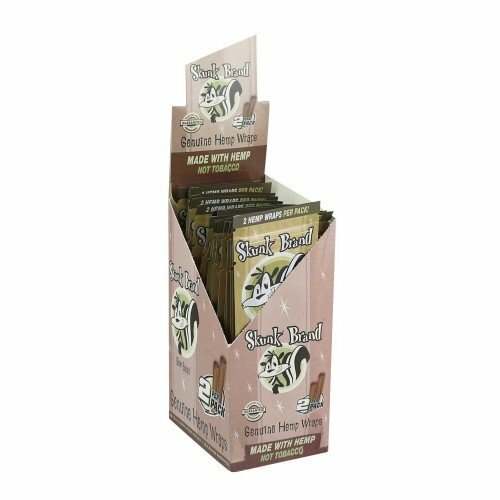 Skunk Brand Hemp Wraps don’t contain any wooden tips like many of the other brands. However, their adhesive is very sticky. Therefore, you don’t have to stockpile saliva before going to town on a Skunk Brand Hemp Wrap. This is one of the best hemp wraps for someone who doesn’t need all the pomp and circumstance that comes with some of the other bigger name brands. 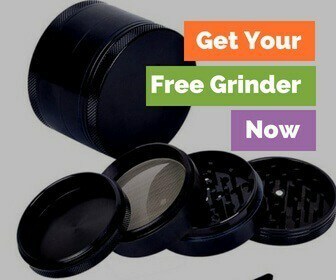 It does a serviceable job rolling up your weed in an organic material at an affordable price.